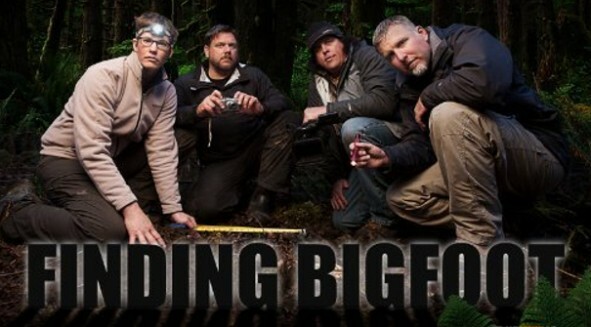 Animal Planet has announced they’ve renewed their documentary series Finding Bigfoot for a third season. That’s a little strange since many sources believe that the show is currently airing its fourth season. Apparently, Animal Planet has their own way of breaking up their episodes. (New York, New York) – After setting foot in 33 states and five countries, the FINDING BIGFOOT team is still feverishly on the hunt for the elusive Sasquatch. As the evidence continues to mount, investigators Cliff Barackman, James “Bobo” Fay, Ranae Holland and Matt Moneymaker are closer than ever to uncover the truth behind the hairy beast. And with FINDING BIGFOOT hunting down 1.2 M P2+ viewers this season and ranking among Animal Planet’s top three performing series of all time among P25-54 (653K), this hunt isn’t ending any time soon! Today, Animal Planet announces the third-season renewal of the hit series, rolling out with 12 brand new episodes later this fall. FINDING BIGFOOT continues to find new believers with 41% more W25-54 watching than season one. And in 1Q13, FINDING BIGFOOT helped Animal Planet rank among the top 10 ad-supported cable nets in the 10 PM timeslot based on M25-54 delivery (excluding movies and sports). FINDING BIGFOOT investigates compelling evidence that may prove the existence of this elusive creature, with a team uses unconventional methodologies and new technologies to lure the creature from behind the shadows to get physical video and/or audio evidence to prove that there is a community of these sasquatches among us! The intrepid cast of investigators – Bigfoot Field Research Organization (BFRO) president Matt Moneymaker, researchers James “Bobo” Fay and Cliff Barackman, and skeptical scientist Ranae Holland – has traveled across the U.S. and followed up on evidence and first-hand eyewitness accounts. Now, the cast continues its international searches and re-visits some of the “squatchier” locations to uncover startling evidence of the mysterious and highly intelligent enigma that has eluded capture for centuries and fascinated man for just as long. FINDING BIGFOOT is produced for Animal Planet by Ping Pong Productions. Keith Hoffman is the executive producer and Hillary Tholen is associate producer for Animal Planet. Brad Kuhlman and Casey Brumels are executive producers and Chad Hammel is the co-executive producer for Ping Pong Productions. What do you think? Do you like the series? Will you be watching the new season? Yes, please keep airing “Finding Bigfoot” for all of us who need a break from all the drama of world. I feel this show gives us a glimpse of hope that beyond our stressed lives of living on concrete and pavement, listening to all the noise we have created for ourselves that Bigfoot has something to teach us about life and caring for each other without material junk. Yes, Please tell us when the new season starts. I love and enjoy this show when does the new season start? I can not imagine why a few commentators would prefer that an interesting show not based on foul language or indecency but a biological fact should be receiving such a negative review. I can only imagine what you would prefer to watch. We are Not embarrassed to have family members present. Why should you be so certain that these beings do not exist ? Have not other bizarre entities been discovered ? I love this show why isn’t it being aired any more? Have been missing Finding Bigfoot Sunday nights! Please bring back soon. I need my Squatchin fix! I love the show never missed one. Keep up the good work we will find him someday, when least expect it I promise. Love the show. Would love to go on investigation. =]love the show, would love to go on an investigation.